using a smaller nib with extra fine point (hunt 104), here is today’s practice sheet. i have had this nib for quite sometime now and i have finally made something worthy enough to post. it features slender letters with delicate flourishes. the technique may not be flawless but with words this beautiful, i hope you will see past that. 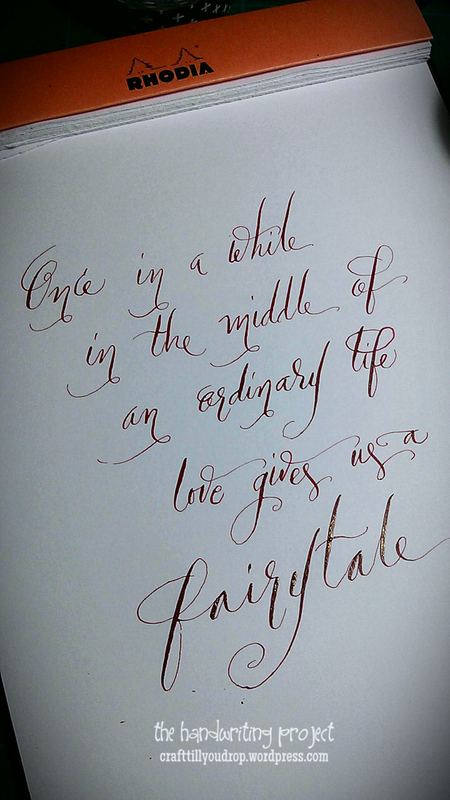 enjoy this day with a lot of love as heartwarming as a fairytale.